'Insulting for Labour to tell Jews how to define anti-Semitism.' UK Jews criticize Labour's new definition of anti-Semitism. The UK Labour party has adopted a new definition for anti-Semitism, drawing criticism from local Jewish leaders. The new 16-page code of conduct regarding anti-Semitism, which was released in full Thursday, was heavily influenced by the International Holocaust Remembrance Alliance’s definition of anti-Semitism – a standard used by many agencies around the world, as well as the British government. But the Labour party also included controversial changes to the code, limiting the definition of anti-Semitism – particularly with regards to issues revolving around Israel and Zionism – in what critics say is a transparent bid to shield Labour party members from accusations of bigotry over their anti-Israel rhetoric. Item number 13, for instance, appears to grant immunity even to members who denounce the establishment of the State of Israel. “Discussion of the circumstances of the foundation of the Israeli state (for example, in the context of its impact on the Palestinian people) forms a legitimate part of modern political discourse,” the new code reads. Accusations of apartheid by Israel also appear to be singled out for protection. The new code also defended use of the terms “Zionism” and “Zionists” in criticism of Israel, while acknowledging that they are at times used as anti-Jewish slurs or to refer to Jews generally. British Jewish leaders blasted Labour’s adoption of the new code, saying it was “impossible to understand” the party’s thinking in making the changes. “It is for Jews to determine for themselves what antisemitism is,” Marie van der Zyl, president of the Board of Deputies of British Jews and Jewish Leadership Council Chair Jonathan Goldstein said in a statement. The new definition was adopted following years of scandals involving anti-Semitic comments by party members and criticism over the party’s alleged refusal to confront some over their anti-Semitism. Party chief Jeremy Corbyn himself has been accused of holding anti-Semitic views by senior UK Jewish leaders. 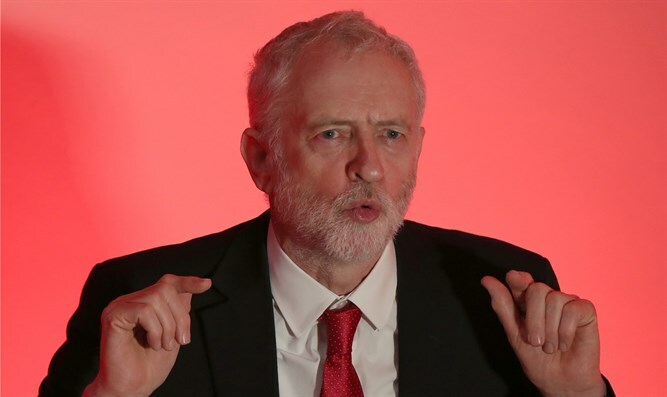 Corbyn has also been criticized for calling Hamas and Hezbollah his "friends" and for outright refusing to condemn those two terrorist organizations despite being urged to do so by local Jewish groups. In March, thousands of protesters gathered outside Parliament to condemn anti-Semitism in the Labour party.